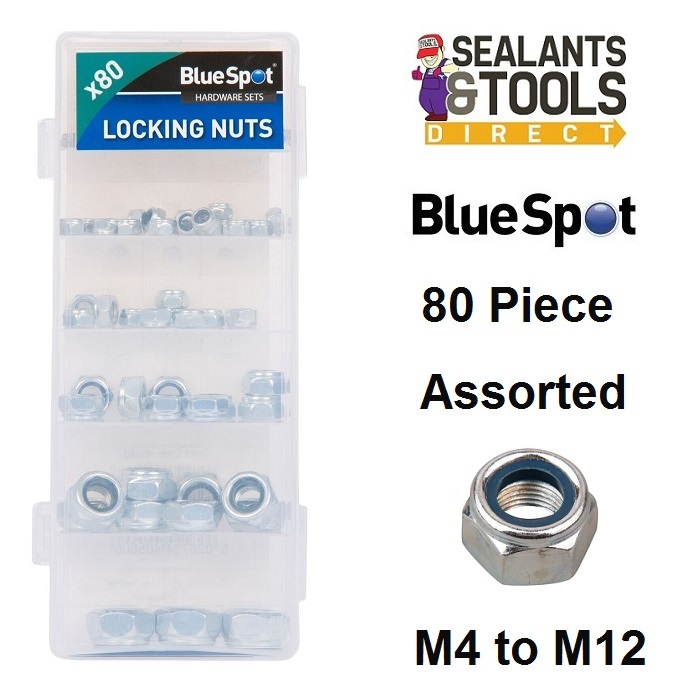 The BlueSpot 80 Piece Assorted Lock Nuts, Locking Nut Set is ideal for use around the home and workplace. specially designed to resist loosening under vibrations when threaded onto a bolt. Contains 80 assorted Locking nuts. See all Blue Spot Assortment Sets & all manufacturers Mixed Bulk Packs.